Every set of skills has a certain amount of value, especially when these skills translate directly into job opportunities. If you like working with your hands and have an affinity for mechanical objects, few skills are more enjoyable and rewarding to learn than appliance repair. 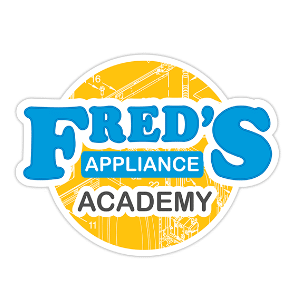 Many people learn appliance repair to start a lucrative repair career, many take repair classes to broaden their knowledge after learning the basics in their youth. Some even pursue appliance repair just because they value being able to fix things for themselves.What you may not realize is that there are significant rewards to learning about how to repair large appliances beyond the obvious direct job opportunities. Today, we’re here to highlight four great reasons to learn about appliance repair that you may not have thought of already. Some industries rise and fall with the market. In harder times when the market is lean, luxury industries contract and jobs become scarce. On a tight budget, people decide they can go without designer handbags or vacation homes. But there will never be a time when people stop needing appliance repair.The kind if appliances you will learn to repair are an integral part of modern homes. Washer and dryers, refrigerators and stoves, everyone has them and eventually appliances break down and will need repair. With this set of skills, you will always be able to find work no matter what is affecting other industries. Understanding the basics of electrical wiring, control panels, and mechanical contraptions is a highly valuable skill. 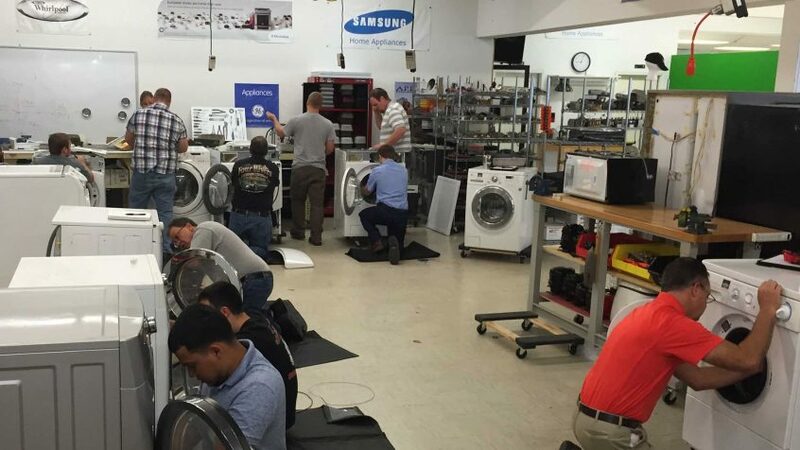 When you know enough about how the inside of appliances works, your skills are not limited to repairing just the equipment you’ve been trained on.By formally learning appliance repair across a number of devices, you will gain the ability to understand and troubleshoot almost any other appliance, even those you haven’t been trained specifically to repair in your classes. Fixing things for yourself, or for a friend, is a deeply satisfying experience. Whether you’re re-hanging a squeaky door or fixing your own dishwasher. It’s nice not to have to call for assistance. But there are also some things that should be done carefully by a professional or not at all. Repairing appliances is one of those things.Learning appliance repair is the best of both worlds. You have become the skilled professional that might otherwise have to be called for assistance. With these skills, you can not only fix appliances for other people on the clock, but you can also DIY your own appliances at home and do favors for friends and family when you care to. Finally, appliance repair is an interesting and independent route to running your own business. While there will always be repair jobs with existing services, it also can be appealing to start your own repair shop. Many repair entrepreneurs take their first jobs running a modest business from home long before they rent a commercial storefront. If you would like to eventually be your own boss, appliance repair is a great place to get started because there is always a demand for the skills. Keep in mind though that this is a difficult path to walk as you need to have a firm grasp of the trade before accepting the burdens and liabilities of ownership. Learning appliance repair is useful on many levels. It can help you find a job in any town, and increase your overall mechanical abilities. 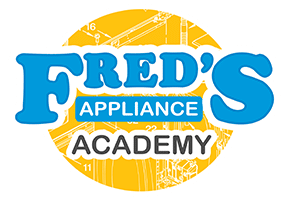 You can start your repair career today by taking a full course of appliance repair classes with Fred’s Appliance Academy. Contact us today to find out more about joining our next round of classes.